Deliver anti-aging benefits to the body with Swanson Resveratrol! * This unique formula promotes free radical protection with the help of antioxidants. * It also supports cardiovascular health. * Our Resveratrol 100 is derived from the Chinese herb Polygonum cuspidatum. Q-: Is this trans resveratrol? A: Yes, this resveratrol is in the trans form. Q: Does this product contain emodin? A: Polygonum cuspidatum has several constituents including emodin, resveratrol, emodin-8-O-D-glucoside, physcion, piceid and others. SWU282 50 mg Resveratrol has approximately 2.79 mg of emodin per capsule. SWU283 100 mg Resveratrol has approximately 5.58 mg of emodin per capsule. 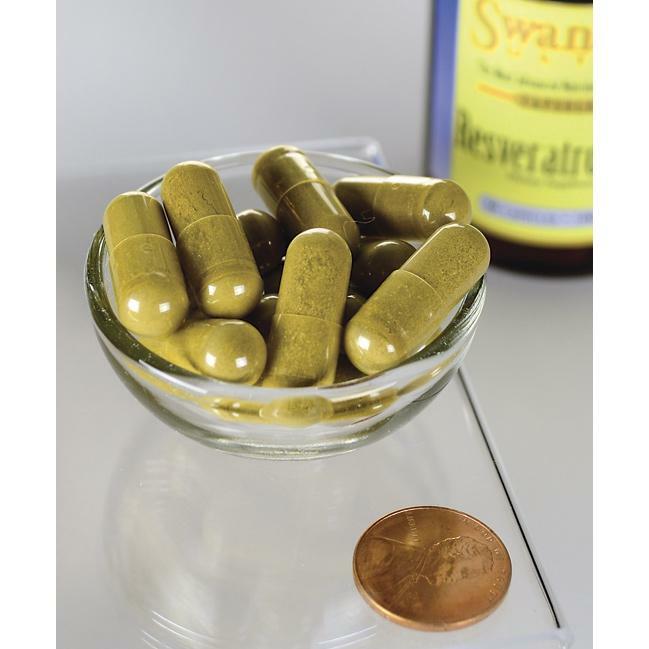 SWU530 250 mg Resveratrol has approximately 13.95 mg of emodin per capsule. SWU531 500 mg Resveratrol powder contains 2.79% emodin by weight. The amounts of emodin in each concentration of Resveratrol may vary with each batch. Q: How much resveratrol is in 1 ounce of wine? A: The amount of resveratrol can vary greatly in wine. Based on available research, we found that 1 ounce of wine will typically provide from 14 micrograms per ounce to as much as 284 micrograms per ounce.